Germ Free Hands For 24 Hours! As it’s name implies, Zoono’s Hand Sanitizer GermFree24 utilizes the unique Zoono technology and incorporates it into the Ultimate Protection Hand Sanitizer. A single application of GermFree24 will last for a full 24 hours – and best of all, GermFree24 does not produce the nasty, dermatological side effects associated with traditional, alcohol or BZK based hand sanitizers. GermFree24 has been extensively tested and is not only effective against a variety of pathogens, but is also very kind on the skin: Dermatest Laboratories in Germany tested GermFree24 against a wide range of skin types and their results confirmed zero dermatological effects against any skin type tested. In fact, as a result of this testing, GermFree24 was recommended by Dermatest! 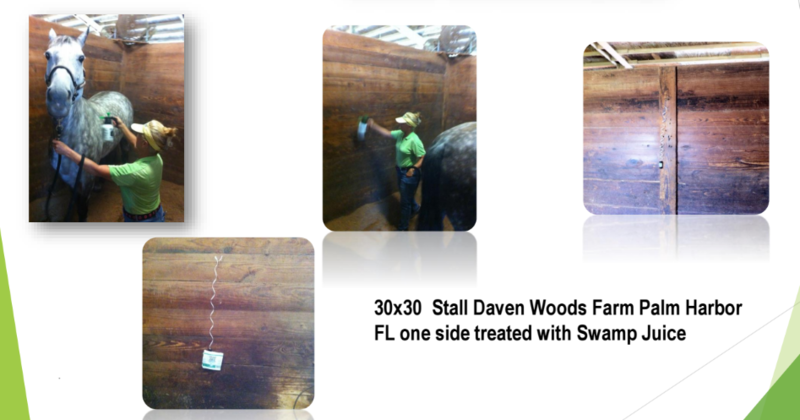 An effective, long lasting anti-microbial that continuously prevents the growth of germs! Great for dorm rooms or to sanitize your bedroom or office after an illness. Save On Shipping When You Purchase The 3 Pack. One Ships For $4.95 – 3 Ship For Just $4.00 More! The Eco-Egg is a revolutionary breakthrough in food preservation. Are you throwing away food because it spoils before you have a chance to eat it? Groceries are expensive and when you toss that rotten food, you are literally throwing money away. Now there is a solution to save you money. The Eco-Egg is a safe and natural food preservation system that will extend the life of your perishable food items. In lab tests, the Eco-Egg extended the life and freshness of strawberries for an astounding 10 days compared to only 3 days of freshness without the Eco-Egg. Other products only work on fruits and vegetables, but the Eco-Egg extends the life of virtually any perishable food including milk, meat, bread and leftovers. Simply place the small Eco-Egg in your refrigerator and one in your pantry and enjoy an entire year of fresher, longer lasting food. Need an alternative to harsh chemicals or toxic alcohols in your bug repellent? Try our all-natural Swamp Juice Beads! Swamp Juice Beads come in an attractive container and when you open the lid it disperses a natural fragrance that, although pleasant to humans, is highly effective in repelling insects. It can be placed in a car, room, on a picnic table, porch, patio or wherever flying insects are a problem! Completely safe around pets and children. Swamp Juice Beads don’t actually kill insects but repels them with a pleasant and all natural fragrance. Place one on your porch or patio and don’t forget to bring a few along to the picnic to enjoy an insect free outdoor environment! Formulated using Eco-Solutions’ patented process and a safe alternative to common, chemical-filled bug sprays. 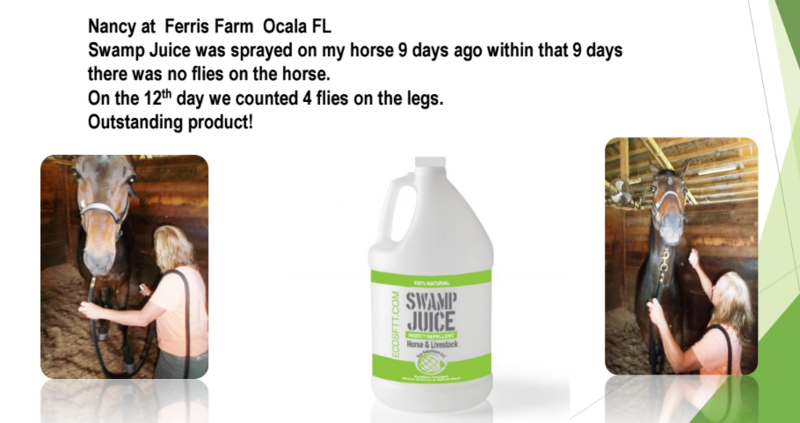 Swamp Juice can protect your entire family from mosquito-borne illnesses like Zika virus and encephalitis. 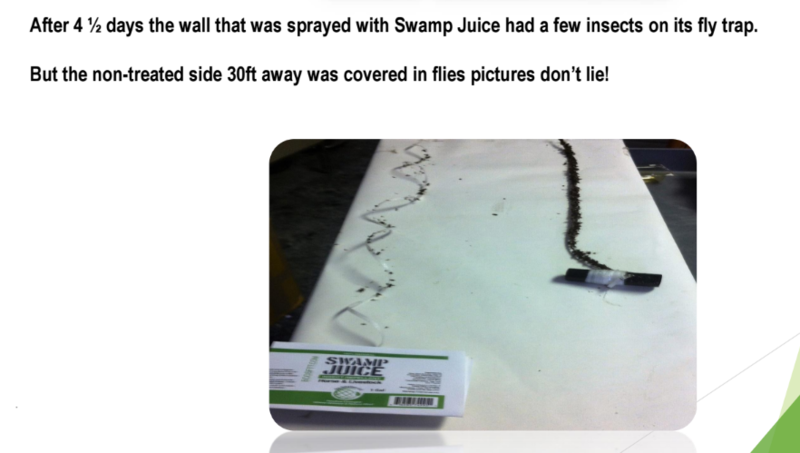 Laboratory tests from Serra Research show that Swamp Juice exhibited outstanding repellency. After 45 minutes both LIB and BF reported 100% Repellency. To clarify, LIB stands for mosquitoes that “Land with the Intent to Bite” and BF stands for “Biting and Feeding.” In other words, Swamp Juice Beads are HIGHLY effective at repelling mosquitos! Order Today And Be Ready For Summer!